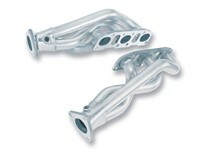 Borla Performance Industries offers an incredible stainless steel exhaust system for the popular Nissan 350Z. Borla was among the first with a bona fide performance exhaust upgrade for the original Z cars. The new Borla Cat-Back™ System (PN 140045) is a true dual exhaust with the famous Borla XR-1® Race-Bred Mufflers. Independent dyno tests have shown incredible gains in the 20+ horsepower range. When complimented with the Borla custom fabricated stainless steel high quality austenitic Headers (PN 17221), power numbers as high as 24-horsepower have been observed. Unlike other aftermarket exhaust that actually loose power in mid-range and low end, Borla gains through the entire RPM range. Serious performance enthusiasts understand that true power gains are not simply a big number at max RPM but rather strong torque gains over the full curve. The famous straight-through, patented designs allow Borla exhaust incredible flow increases. The Z car flow numbers improved 27% over stock! Flow makes power. Simple as that! The Borla true-dual Z-car lightweight high quality austenitic stainless steel system actually weighs 12 pounds less than the factory single exhaust. Add to this package a great look with large 4” angle cut rolled edge polished tips and that famous Borla growl. Once again, the genuine Borla exhaust puts the Zoom in the Z car. Isn’t it time you stepped up to Borla? Borla Performance Industries, the original pioneers of aerospace-grade high quality austenitic stainless steel (superior to T-409 or aluminized steel) free flow exhaust utilizes its patented award and race winning technology to deliver quality, sound, performance gains and enhanced fuel economy – all with an easy bolt-on installation. All BORLA street products carry the famous BORLA written million-mile warranty.